In the heart of the Lorraine region, nicknamed 'the green lung', the Meurthe-et-Moselle is a relatively little known department outside of France. However, it is definitely one of France's best-kept secrets. The Valley of Moselle runs down through the middle of the department and is the perfect destination for those with a love of the outdoors. The southwest, which is densely packed with forests, is also a hiker's paradise and well worth exploring. The city of Nancy in the very heart of the department represents an important crossing point for those travelling within Europe. This thriving university town was once the regional capital. The city centre, most of which was built during the prosperous 16th to 18th centuries, centres around an enormous public square called Place Stanislas, which is now a UNESCO World Heritage Site. The Musée de l'Ecole de Nancy and the Musée des Beaux-Arts are both well worth a visit for their extensive displays of local artwork. Arguably, however, the best spot for art appreciation in Nancy is on the streets themselves. Art Nouveau is particularly popular and there are city tours dedicated to showing visitors samples of this particular style. When you're strolling the streets make sure you take time to observe the intricate detail found on the grills and stained glass windows, which adorn public buildings, private homes and a number of shops in the city. Despite still only having a population of just over 17,000 people, Toul has been of great strategic significance over the centuries. It is situated along the Moselle River where several waterways and major roads meet. In 1700, Louis XIV ordered the construction of new ramparts to encircle the city. These have since been added to and improved so much that, at the outbreak of World War I, Toul was the best defended stronghold in France. Today it is a pleasant town and virtually and island thanks to the positioning of the surrounding canals. This also means that Toul offers plenty of opportunities for both sailing and swimming. Luneville is to be found nestled between the River Meurthe and its tributary, the Vezouze. It is one of the most picturesque and relaxing towns in the department owing to its spacious streets and expansive parks interspersed with a number of 18th Century monuments. The attractive chateau, also of the 18th Century, was built with Versailles as its inspiration. Over time, a number of great thinkers, writers and artists have been drawn to the tranquility of the town including Saint-Lambert, Helvetius, Montesuieu and Voltaire. There are currently no airports within the department offering direct flights to/from the UK. You could fly to the Paris airports, and continue by rail or road from there. Or there is Basel/Mulhouse airport which is nearer, which currently has easyJet flights operating to/from the UK. Your nearest ferry ports are Dunkirk, Dieppe and Calais. Then there is the TGV network to eastern France to consider. Nancy is considered a great destination for relocation due to its thriving economy and friendly atmosphere. However, the increase in interest has also caused property prices to rise considerably in the last half 5 years. Do you know Meurthe-et-Moselle better than we do? Do you have photos of Meurthe-et-Moselle? 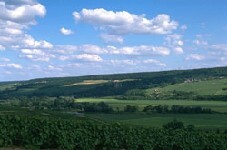 Meurthe-et-Moselle is located in the centre of the Lorraine region.